Arnold Schwarzenegger started shooting 'Terminator 6' just three months after undergoing open-heart surgery. The 71-year-old actor – who reprised the iconic role for the upcoming movie – admitted he couldn't wait to star in the Tim Miller-directed film, despite going under the knife just three months earlier. Speaking about his health, he shared: "I always have a lot of help. "You need to have the doctors there to pump you up, the nurses there to help you with the walking, to get going again. "My girlfriend Heather [Milligan] was there, and she was pumping me up all day long and she stayed there at night ... Three months later I was on the set of 'Terminator 6' shooting in Budapest." And Schwarzenegger admitted he is already excited for the film's release later this year. He told Extra: "I was very happy with the filming of it, so it will come out in November." Schwarzenegger first achieved international fame as a professional bodybuilder, which led to his career in the movie business. 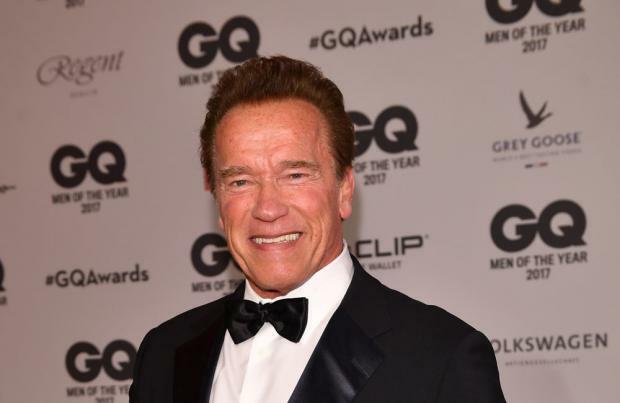 And the veteran star – who has also served as the Governor of California – thinks all of his success can be traced back to his bodybuilding days. He said: "When I started lifting I got compliments right away. "'Wow! You've been lifting for a month? This is incredible. Look at your muscles popping out!' It was the perfect storm. "Bodybuilding got me into the movies, then the movies got me into political office – because politics is all about name-recognition. So it all goes back to bodybuilding. Without that I wouldn't have achieved any of the things that happened after."